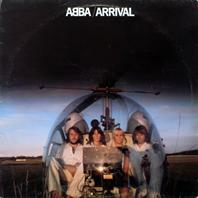 For a non-concept album Abba's Arrival sure has a strong thematic undercurrent. It starts off in the classroom, where a young girl day-dreams about her handsome teacher (When I Kissed The Teacher) and later, still high on life goes to the disco (remember, kids, it was the seventies) where she's the center of attention (Dancing Queen). The high won't last, though, as the guy she's hooked up with (is it the teacher? we may never know) has turned out to not be what she's been looking for (My Love, My Life), but instead a no-talent musician without a future (Dum Dum Diddle). So, she dumps him (Knowing Me, Knowing You) - why? Because she wants more, and he just can't deliver (Money, Money, Money). Well, turns out neither can she, but even when down and out she's still clinging to the hope of a better future (That's Me - where we for the first and only time get to hear her name: Carrie). Her crackling world leaves its marks on her behavior and finally one the men she uses and abuses confronts her (Why Did It Have To Be Me) a move that makes her abandon all hope for something better and give in to her dark urges - she goes feral (Tiger), at which point she at long last is granted the serenity and stillness of realizing one's true purpose in life (Arrival - the only instrumental track, sounding like a Swedish folk-music bridal march, arranged like a hymn for bagpipes, played on keyboards). It's a dark and dreary world that Abba painted, indeed. Very similar to Antichrist Superstar. We're all going to Hell to the sound of pop-disco, eurovision and dansband.